For the fiscal quarter ending in May of this year, the beleaguered Canadian smartphone manufacturer has reported a loss of $0.11 per share, which is up from the consensus estimate of $0.25 per share. Although the company's $966 million in first quarter revenue missed estimates of $976 million, it was still able to ship some 1.6 million smartphones - an increase of 300,000 over the previous quarter. BlackBerry started off the year hopeful by unveiling their new Z3 flagship, as well as bringing back their bread-and-butter QWERTY experience with the Q20. While neither device can be considered a top seller, it appears that there was a fair amount of interest in the devices, resulting in a slightly more optimistic outlook from BlackBerry's camp. "Our performance in fiscal Q1 demonstrates that we are firmly on track to achieve important milestones, including our financial objectives and delivering a strong product portfolio. Over the past six months, we have focused on improving efficiency in all aspects of our operations to drive cost reductions and margin improvement. Looking forward, we are focusing on our growth plan to enable our return to profitability." 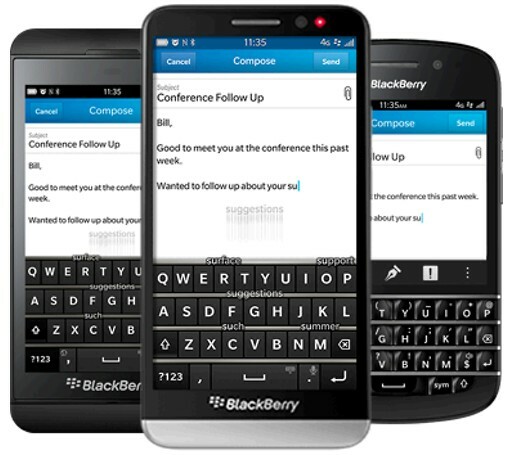 BlackBerry is hopeful that it will be able to break even by the end of its fiscal 2015.